Carlyn and Erik started dating the summer of 2007. They went to high school together but didn't officially meet until they were hanging out with mutual friends toward the end of the school year. Eight years of dating, from high school to college and on to the real world, culminated in a proposal as Erik and Carlyn were on their way to his parents' home for Christmas. They made a pit stop at the park where they had their first date. They walked and talked a bit, and towards the end of the walkway Erik stopped, got down on one knee and asked Carlyn to marry him. “Erik and I knew we wanted to get married in the summer, and didn’t want a long engagement, which meant choosing a wedding date less than six months after we got engaged,” says the bride. Thankfully, eight years together meant they had a good idea of what they wanted, and we helped them make it happen in less than six months. Carlyn had dreamt of a vineyard wedding since a family trip to Tuscany in high school, and a trip to Healdsburg, California shortly before they got engaged proved it could be done without a passport. 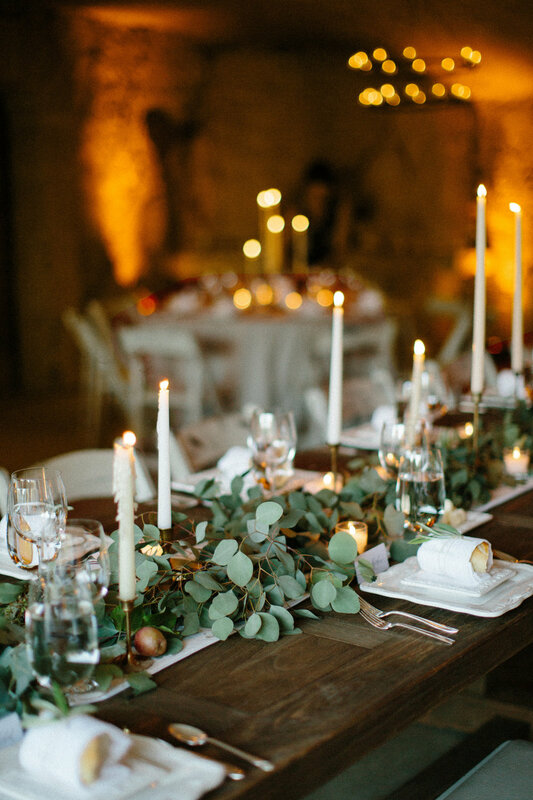 The wedding highlighted an Italianesque feel that came from a stunning California winery, a gorgeous rustic wooden door which served as the backdrop to their ceremony that we detailed with fresh greenery, berries and flowers, and an open stone cave used for dinner that opened to an outdoor space for dancing. It's safe to say that Erik and Carlyn made the most of the gorgeous setting, celebrating in the California sun and drinking wine from the venue's vineyard! To see more of this nationally featured wedding, check out Brides Magazine and their gallery!